"In Zhicheng Private School, my English and Maths improved to their maximum extents, in terms of vocabulary and the ability to solve complex problems. There, I made friends of various races and still keep in contact with them today. Once again, thank you very much for all the things you have done." "I was not an enthusiastic learner at all before I came to Singapore to study in Zhicheng Private School. Coming to Singapore changed my attitude to studies thoroughly. When I first came, I entered the class at the lowest standard. Even though I felt that English is arduous, I didn't give up, I started bucking up. With regular practice, my standard of English gradually improved. Finally, my application for admission exercise for international students was successful. And I proceeded to another stage of my student career." "Although Zhicheng School was part of my life for a mere 5 months, I learnt much. Not only in improving my English, but also in gaining many friends in the process. My score of 120 upon 325 in the beginning made me worried about the AEIS at the end of September, but the diligence of the teachers at Zhicheng in the past 5 months allowed me to enter St. Margaret's Secondary School. My teacher helped me set a strong English foundation and provided a good class environment for learning English. So I am very grateful to my teachers and classmates for their help to me." "I studied in Zhicheng Private School (Zhicheng) for 6 months in the AEIS preparatory course. Studying in Zhicheng gave me great memories and amazing experiences that I will never forget. Without Zhicheng, I wouldn’t have passed my AEIS with flying colors and got into a good government school in Singapore." "My English and my Math have improved a lot since I came to study here. I met students from different countries such as China, Indonesia, Thailand, Hong Kong, and others. The teachers are kind and considerate. The school environment is tidy, clean, and satisfying. I felt comfortable studying at Zhicheng." "The things I learned were not only knowledge of English and Math, but also other things like how to face life with a positive attitude or how to communicate with others. While the knowledge was important, I think the social skills were just as important. Although I studied in Zhicheng for only 4 months, the school has left me with remarkable memories." "Obstacles don’t have to stop you. If you run into a wall, don’t turn around and give up. Figure out how to climb it, go through it, or work around it. Failure is simply the opportunity to begin again, this time more intelligently. I have succeeded in gaining admission to Broadrick Secondary School. I am very grateful for my teachers’ help and guidance." "When I first came to Singapore, I was not good at English, but nine months passed at an amazing speed and during this time, my teachers helped me a lot to improve my English grades. I learnt a lot about vernacular language by talking to my friends and I also learnt a lot of composition writing skills. 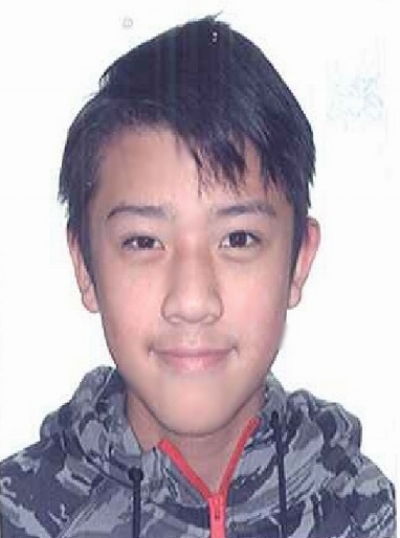 Zhicheng Private School has given me the opportunity to acquire knowledge and broaden my horizons." "In class, I had some difficulty in understanding what the teacher taught and explained even after learning for a few days. As my vocabulary was still limited, I failed to grasp the meaning of the words. However, my teacher helped me improve my English proficiency in a very short time. He gave me confidence in studying and encouraged me to put all my effort into improving my English skills." "At first I could not even pass my English; and when we did a full Chemistry paper, I barely scraped through. However, as time went by, I was given more and more relevant educational materials, especially in English, and this really helped me immensely. I started to pass my English tests and no longer received 'just pass' scores for my Chemistry. Eventually, I scored a B3 for both my English Language and Chemistry." "When I first came to Singapore, I did not have much confidence in my English. Fortunately, my English teacher, Ms Koh, and Zhicheng School helped me a lot. I completed plenty of useful exercises from Ms Koh. Moreover, after every test that we did, Ms Koh would evaluate our performance with us individually. This helped me to improve a lot."